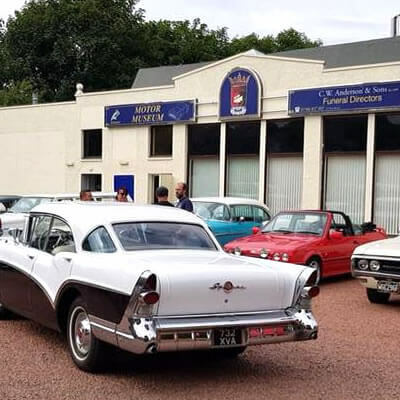 The entire venue is ‘Non Smoking’ and Colin and his wife, Fiona, take an active part in ensuring everything is presented in a friendly relaxed atmosphere and all to the highest standard. 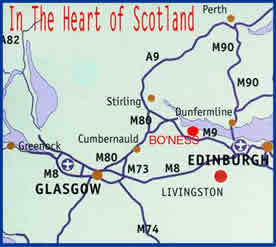 For a great day out to ‘Club & Corporate’ meetings the Bo’ness Motor Museum really does have “something for everyone”! 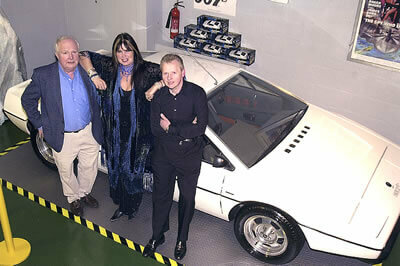 Motor museum was opened in April 2004 by Bond girl Caroline Munro and Shane Rimmer. It features a revolving collection with other classic motor and car museums. Open daily from 10am Monday to Saturday, Sunday from 11am. Last admission, 4pm. Planning visit in November to Easter, please check for revised opening times. Group Viewings Outwith Normal Opening Hours by Arrangement. Group Discounts Available.